We had the opportunity to facilitate a review for the red My First Flybar by Flybar. A Pogo Jumper! Seriously, I hadn't thought of of one of these in years. When we were younger, my brother and I had one we shared. We would have contests, who could Pogo the longest. Unfortunately, I wasn't as good as my brother was with the Pogo, he outnumbered my jumps many times. The My First Flybar is made from a durable soft foam. The foam base provides a good standing place, while the foam handles are an easy grip. Children of all ages can enjoy this Pogo Jumper, and adults also, as it will support up to 250 pounds. The stretchy bungee will adjust to any size above 12 inches long. Everything is well attached and there are no reasons to fear any accidents. My First Flybar is vibrant in color and extremely well made for inside and outside use. My kids have a terrific time playing on this. The Pogo Squeaks each time it's jumped on, it's helpful to count how many jumps are made. Can you see that happiness? Leah has so much fun on her My First Flybar. I had a hard time just getting the girl to stand still or jump slowly to get these pictures. She kept trying to jump on every. single. time. She offered to wash 'dishes' if she could have it back just for a little while longer. She hears that from her big sister that washes the bowls after dinner. The drama and now she too, will do anything including 'dishes' to have her new toy past dinner time. The other two really like it also. We have a huge square of cement off to the side of our backyard. It looks like it may have been an old building at one time, perhaps even an old outhouse, no, no hole. Anyway, they bounce around on that huge square for hours. I only hear from them if one isn't giving the other their turn. I like being able to watch them, through the window, while they are having so much fun on their own. No participation from me needed. My First Flybar by Flybar would make an awesome gift for any kid to find under the tree this year. It's cute, durable and quality made. You can purchase My First Flybar on their site with an exclusive 10% discount on the My First Flybar with code, "fly10off2015=5" . for an affordable cost. 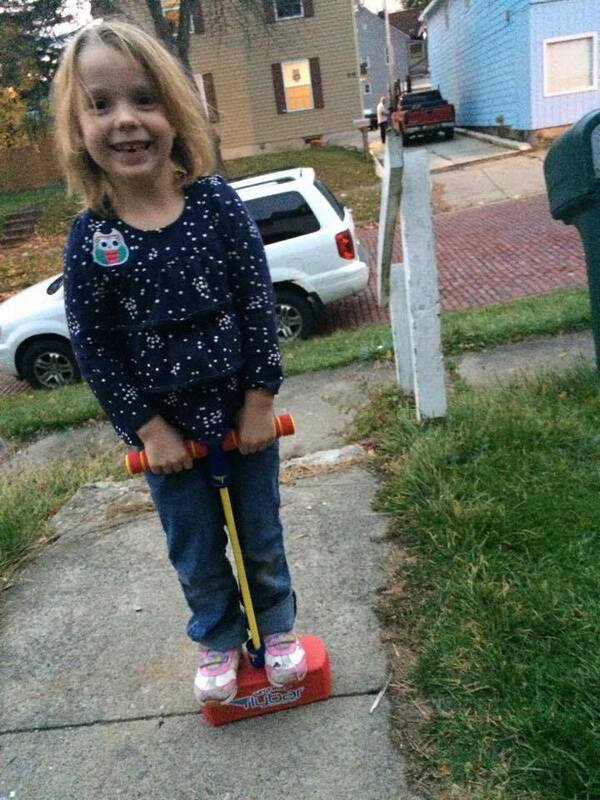 Doesn't every child need a Pogo? You can connect with Flybar via Facebook , @flybar_inc , Instagram , You Tube and Toddler Pogo Website . I used to love jumping on the pogo sticks when I was younger. These look so much safer and easier to use. Oh this brought back many memories of my sister and I playing with one of these when we were young, thanks for sharing! I had a pogo stick when I was young and I'm a grandma now. It would be fun to keep this at my house so they could have some fun while visiting! Looks like a fun pogo stick for the young ones. My three year old granddaughter would love it! Glad to find your site. My son would love this - plus it seems like it would be a great way for him to burn off some of his endless extra energy! 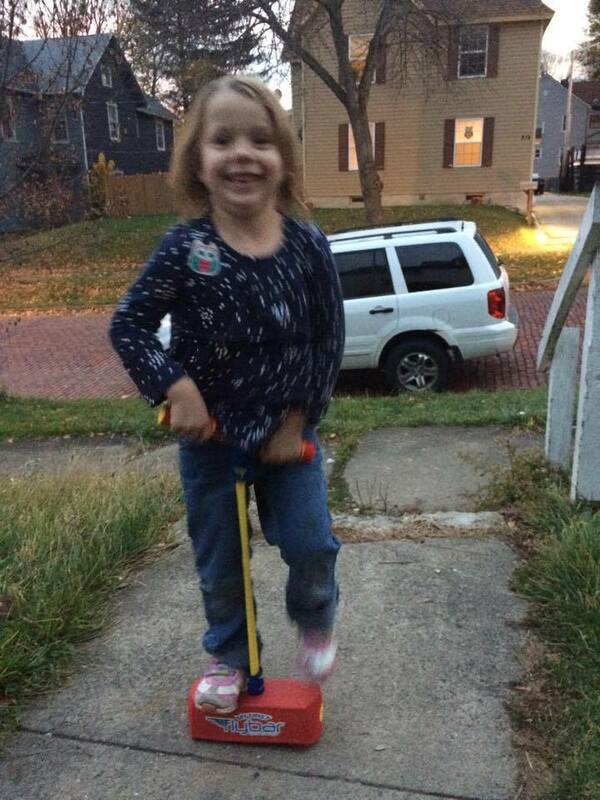 I had a pogo stick when I was about 10 or 11 years old and loved jumping on it! I think my grand daughters would have a ball with this one! Oh my gosh. This is like a dream come true. 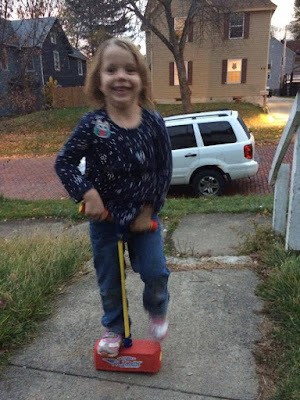 My daughter has been asking for a pogo and would like one for her birthday or chirstmas. I haven't bought her one because they are expensive and I haven't seen any at the store. I am so crossing my fingers and praying to God I win, I want to surprise my sweet girl this amazing gift that she has been wanting so bad and for sic a long time on Christmas morning. PLEASE. This is a great gift for a child. My grandson would love one and just think what great exercise it would be for him! My son has a FlyBike. Now he just needs a FlyBar! Thanks for the giveaway! It looks like a lot of fun! It's also a great bonus that you can use it inside or outside too! This would be great for my grandkids. I love that they can use it outside or inside. I always feel bad buying gifts made for outside use at Christmas since there's usually too much snow on the ground for them to go out and play with it. 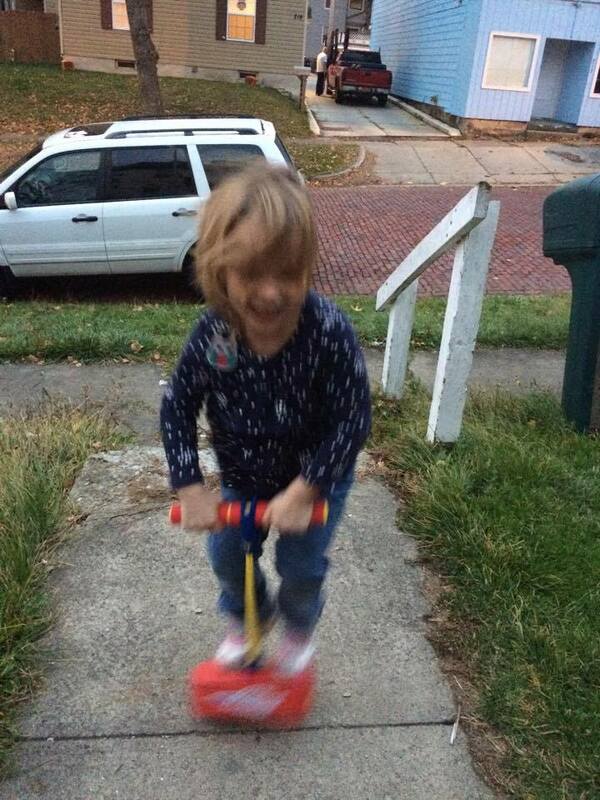 I used to love pogo sticks! The last ime I used one was in my mid thirties, and I was trying to teach my children how to use one. We were all having a great time, till they wanted to see how long I could jump. I think it was over 100, and we were actually getting bored when the stick landed on a small pebble and I went flying. After that, I just talked them through it! This looks great though to start out. No falling or flying! This is cute. I have 3 grand kids that would love it. I know I used to! This looks like so much fun. I know my nephews would love it. I also like that it promotes activity.